Hi everyone and Happy Mother’s Day. 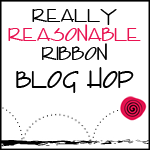 Welcome to our May Really Reasonable Ribbon Blog Hop. 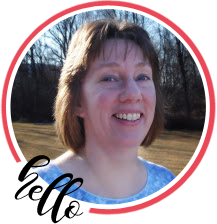 If you arrived from Judy’s awesome blog, then you are on the right track. If not, why don’t you head over to the RRR Blog and start from the beginning so you don’t miss any of the fabulous projects. We have a really fun Hot Pink and Black May Ribbon Club Assortment to show you this month. Isn’t it HOT, HOT, HOT?? What a fun way to build your ribbon stash so you’ll always have the color you need on hand. Looking for a gift for a crafty friend? There are gift subscriptions available for 3, 6, 9 or 12 months available. Since today is Mother’s Day, I have two Mother’s Day cards to show you. For my first card I used the black sheer organza with satin center for the ruched strip down the middle and the hot pink with black satin swiss dots which I tied in a knot and v-cut the ends for a little different look. So easy too! For my second card I went with a strip of ribbon down the middle and a bow made using my BowEasy tool. I love the subtle sparkle of this hot pink shimmer satin. Here is a different view to show the dimension. Your next stop is Heidi’s beautiful blog. Stunning cards! Love hot pink & black together! Gorgeous card Bonnie, love the hot pink…beautiful. Love your cards. Especially the colors and sentiments. Both cards are very nice.. love the second one! Beautiful cards Bonnie!!!! I LOVE them both1!! I also love this months ribbon club kit, but every month is beautiful!!!! Love both of your cards Bonnie!! I think the second one is my fave. 😉 I hope you had a Wonderful Mother's Day!! Pink and black are my favorite colors. Your cards are adorable!